It’s time to take a stand to protect our city’s middle class jobs and bring up our city services to the highest levels! City Management is hell-bent on balancing budgets for a generation on the backs of LA City Workers while they burn through our taxpayer dollars on expensive, inefficient, and ineffective short-term contractors. Rather than work with us to invest in adequate long-term City Services, they want to stick it to us with a 10% contribution for health care premiums! On top of that, the City has rejected most of our bargaining proposals and is resorting to their old playbook of “take-take-take” while they “give-give-give” to contractors. We can’t allow the City to take workers and our communities backwards! 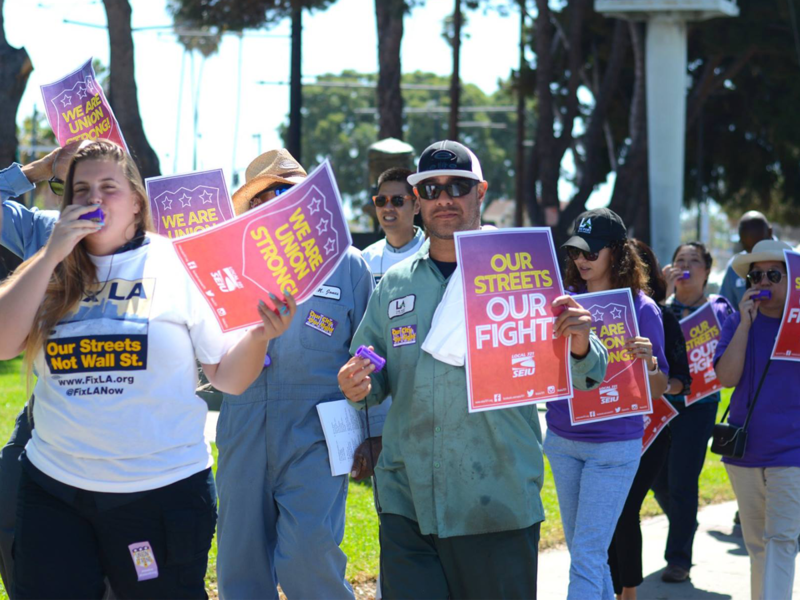 This is our City and our fight —a fair contract will be won by making a strong stand at LA City Hall and in our worksites. All hands on deck on October 10th! Wednesday, October 10 at 9:00AM200 N. Spring St. Does this mean there will be a strike? No, it means LA City members are ramping up their pressure! Make plans to attend and bring a co-worker. The fight for a fair contract requires everybody to step up. How much longer will we be getting slapped in the face?, just to get what we need to survive. The economy is doing well. People are paying their property taxes and the Board of Supervisors don’t want to pay it’s workers. A multi billion dollar budget!! Unacceptable!!! I’d love to be there today but I’m stuck at home due to messing up my leg and I can’t walk or drive right now.